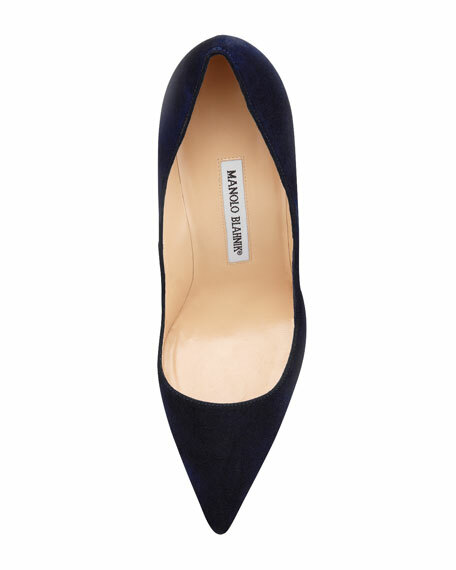 Manolo Blahnik "BB" pump in suede. 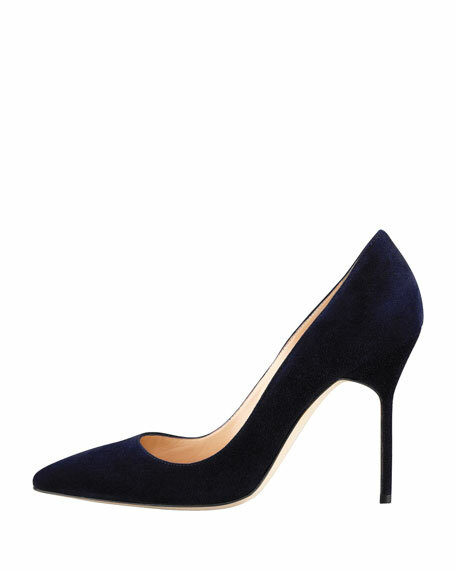 Pointed toe and topstitched collar. For in-store inquiries, use sku #2188530.